The likelihood of the full version of the 2014 CIA torture report compiled by the Senate Intelligence Committee ever being made public has dropped precipitously, as President Trump has begun returning all copies of the still-classified document to the committee chairman Sen. Richard Burr (R – NC). Government documents, even classified ones, are supposed to eventually be made public under the Freedom of Information Act, and while the federal government has long gone out of its way to skirt FOIA requirements anyhow, Congress is outright exempt, meaning if they get all the copies, they likely disappear forever. This is actually a faction fight between Sen. Burr, eager to keep the document secret, and Sen. Dianne Feinstein (D – CA), who chaired the committee when it was written in the first place, and who ordered copies sent to numerous federal agencies specifically so that eventually one of them would release it under a FOIA request. Burr’s call to recover all the documents is highly unusual, and Trump’s agreement to do so is even more-so. 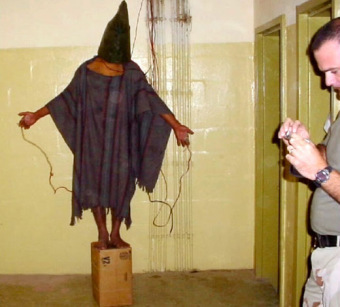 The 6,700 page document excoriated US torture policies after 9/11, and noted that not a single incident of a terrorist attack had been foiled because of the torture.